Are you travelling to Fuerteventura and thinking about a quiet location and a pocket-friendly hotel with all-inclusive option? 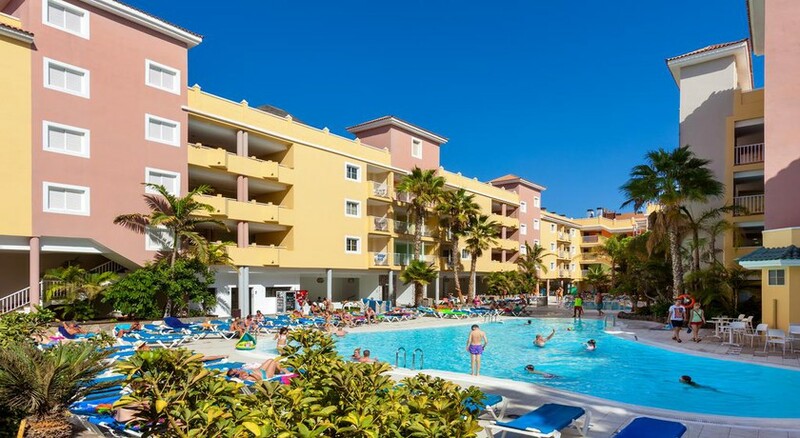 Check out Hotel Costa Caleta in Caleta de Fuste, which is a family-friendly hotel that offers proximity to the beach and to the main strip. There are numerous bars, night clubs and restaurants close to the hotel. The hotel features 308 well-furnished and decorated rooms with luxurious amenities. Guests of the hotel can take advantage of the buffet-style restaurant and two bars with distinct atmospheres. The two swimming pools in the hotel will let you have fun in the sun, while the children play in the children’s pool. As the weather in Fuerteventura is balmy throughout the year, you can have unlimited fun as a couple, family or a group. 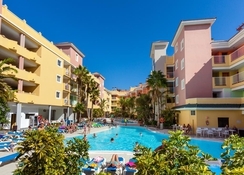 The Hotel Costa Caleta is ideally situated in Castillo Caleta de Fuste, Las Palmas, Spain. It is just 5 minutes’ walk away from the beach, making it convenient for beach lovers. As there are a number of shopping malls close to the hotel, your shopping requirements will be easily fulfilled. Puerto del Rosario is the largest town around the hotel, which is about 13km, but there are many other seaside villages and towns as well. The Airport de Fuerteventura is about 8km from the hotel, while the Aerodromo del Jarde airport is about 20km. 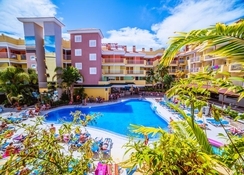 Hotel Costa Caleta features 308 modern guestrooms all furnished with a private balcony. These accommodations are modern and spacious, something ideal for families and couples. All rooms come with air conditioning, TV with satellite, en suite bathrooms with amenities, hairdryer, telephone, sofa bed, and above all a balcony with beautiful views. 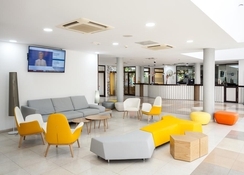 You may have to locally pay to use some of the facilities, but safe deposit box, extra bed, crib and other services are also available on request. Most of the rooms feature twin beds, and they are equally bright and receive plenty of sunlight, finished in light colours. The main buffet restaurant comes with a large terrace serving breakfast, lunch and dinner. Breakfast is mostly continental with plenty of choices; however, for lunch and dinner, you will find local and international specialties. Alcoholic drinks are served in the latter two meals and theme nights are often organised, such as Italian, Chinese, BBQ and Canarian. You can also visit the a la carte restaurant that opens for dinner and let the chefs charm you with their expertise. The hotel features multiple bars (including a poolside bar) both indoor and outdoor—some bars are not included in all-inclusive package. All except the main bar serve light meals, snacks, cocktails and mocktails, and other local and premium drinks along with great music. The hotel houses a couple of swimming pools with whirlpool, loungers, parasols and a jet pool along with a kid’s paddle pool too. Guests who wish to stay active during their vacation can visit the well-equipped fitness centre and the wellness centre that comes with multiple massage options. Children between the ages 4 – 12 can join the mini club and partake in the numerous workshops and activities—there is a playground and recreational room. Archery, mini club, gymnastics, mini golf and live music shows are some of the fun activities available within the premises. 24-hour Reception Buffet Restaurant Landscaped areas Adult pools Children's pool Pool Bar Gym Computers available in the hotel lobby, with internet access Multi-sport court Ping-Pong Mini Club for kids aged 4 - 12 Alarm Service Rent a car Main buffet restaurant with large terrace Bar (indoor and outdoor) Pool Bar Animation bar with drinks services and night entertainment program Terrace bar with drinks service (subject to season) Cafeteria and cocktails a la carte. Hotel had everything you would want in a hotel. Pools were spacey..and the pool on the roof was ideal..and a gym. The hotel interacted well with their customers. You could borrow irons and kettles which was a bonus if needed. The real benefit was that it was a taxi away from the airport...savng paying tranfers. The food was a bit up and down...but your hotel was local to everything shops resturants and markets. I would say l got a good deal and would go back to Costa Coletta again. We had a 10 night stay all inclusive in August 2017. We are a family of four with 2 young children. The hotel was lovely, lots of seating areas and very clean. The room was good, not much space with the sofa bed pulled out but that is to be expected. The food was good and varied. The pools were great although it was a bit of a struggle to get a lounger if you weren't up early. The only downside was that we found there was not much space open space for the children to play or run around. Hotel was nice and clean, if you want a sun lounger you would have to get up super early as people reserve them with their towels whilst they have breakfast.. however there’s plenty of room the catch the sun on the roof terrace with a small pool. Food wasn’t exactly my cup of tea but I’m very fussy, my boyfriend liked it. Nice and close to bars n restaurants and can easily walk to the beach so overall good stay.